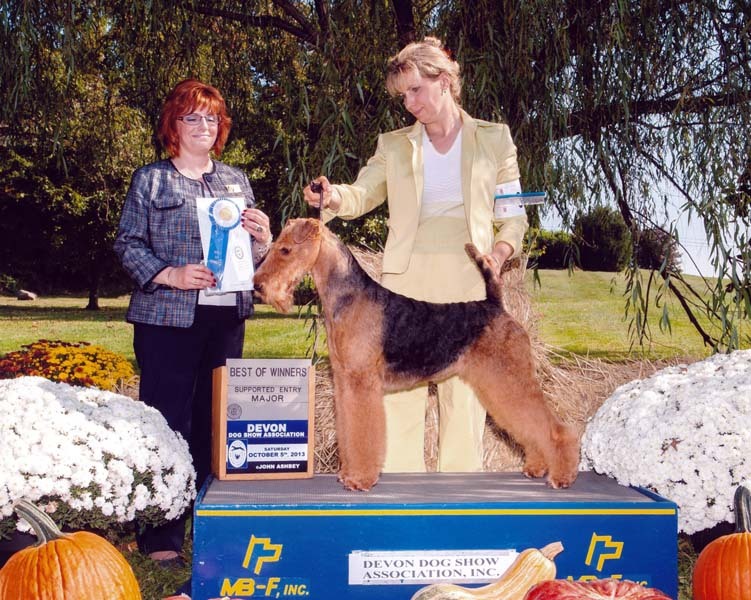 Splenda, BIS GOLD GCH JOVAL SWEET TIME was the #1 Airedale in the U.S.A. - All Systems, as well as the #8 Terrier for 2014. 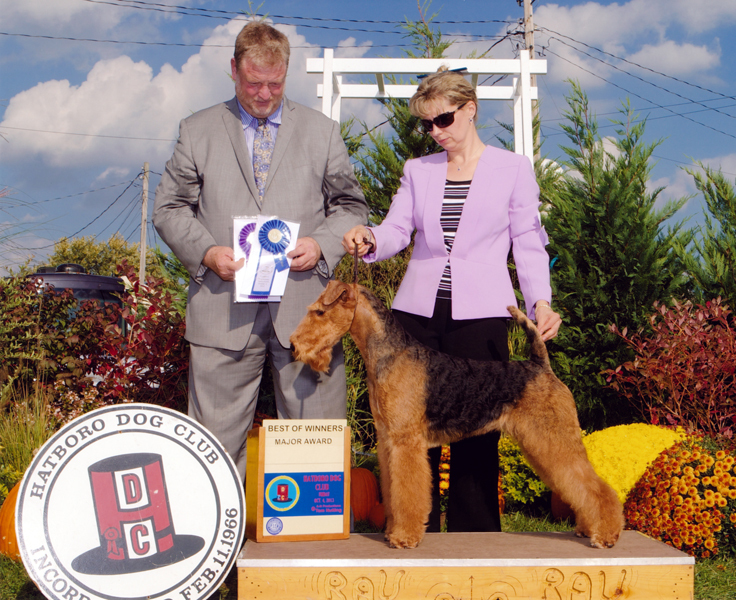 She achieved this ranking in just under 7 month of active showing. 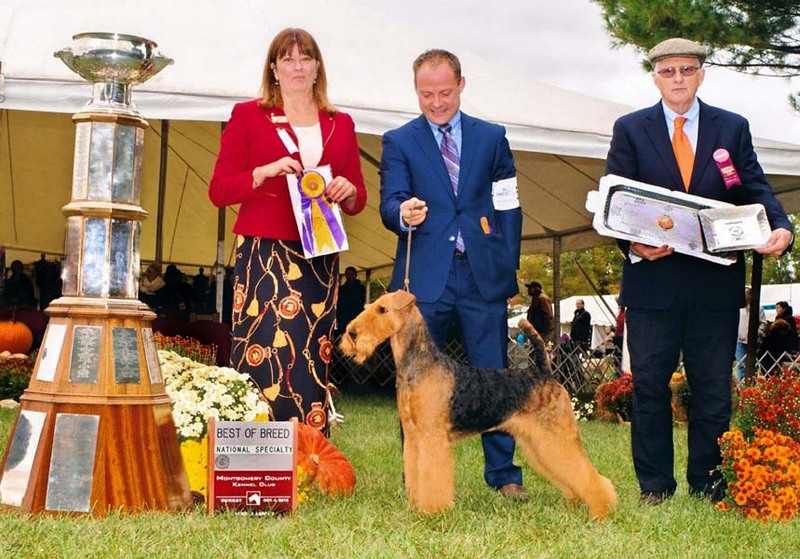 In 2014 Splenda was awarded 5 All-Breed Bests in Show, 3 Reserve Bests in Show, 29 Group Firsts with 61 total group placements. 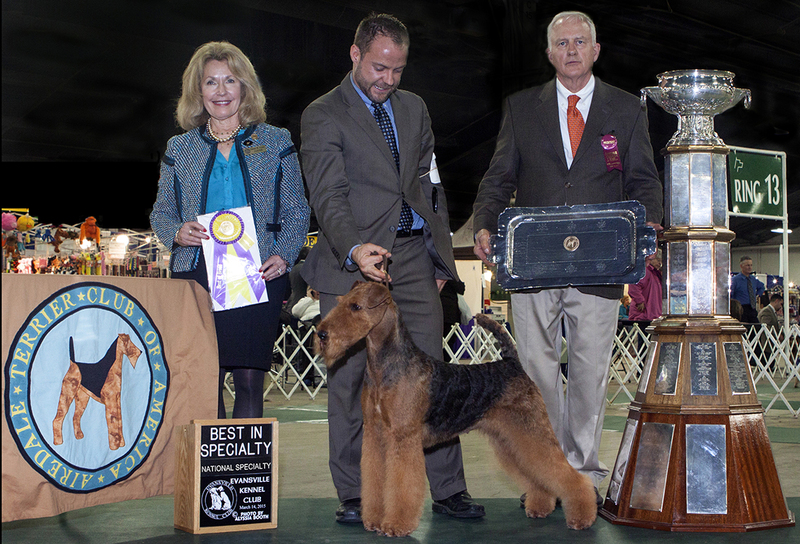 She also won 6 Best In Specialty Wins. 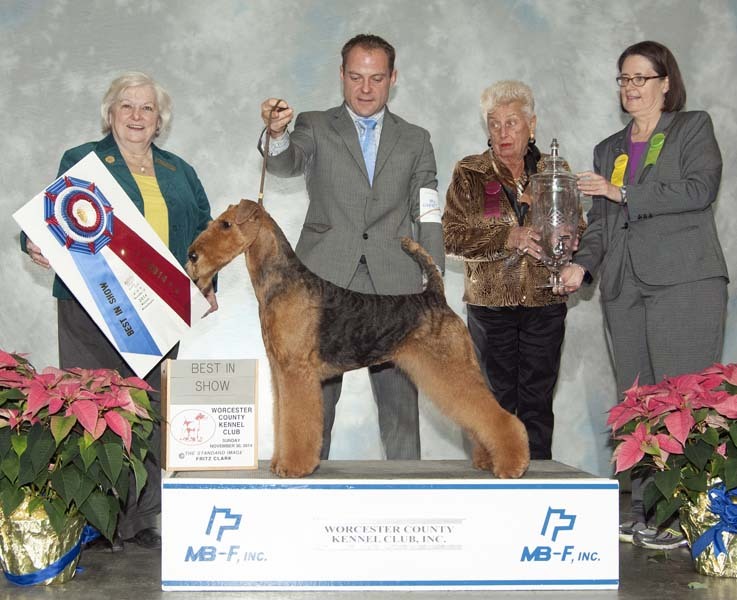 In 2015 she continued to succeed at the highest level, having earned another BIS win as well as going Best of Breed at the Prestigious Westminster Kennel Club Show in NY. 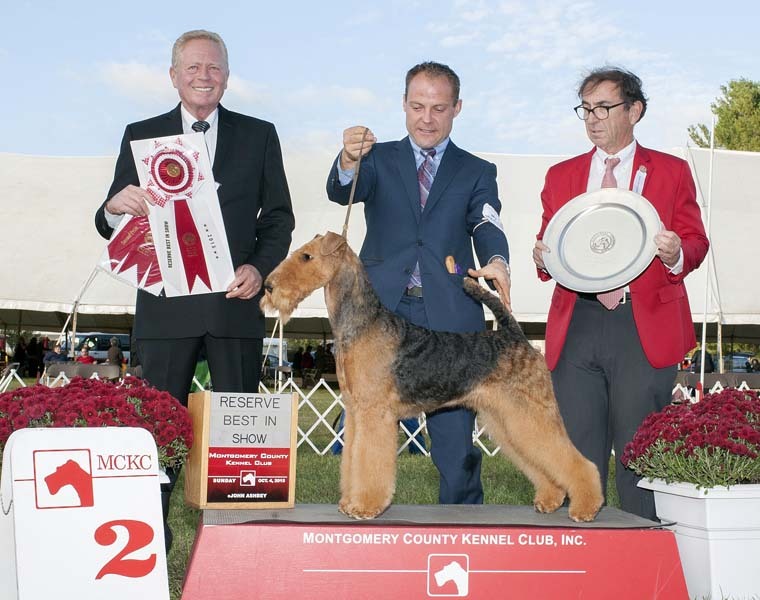 Not only did she command the breed ring, she made the judge's cut in the Group. 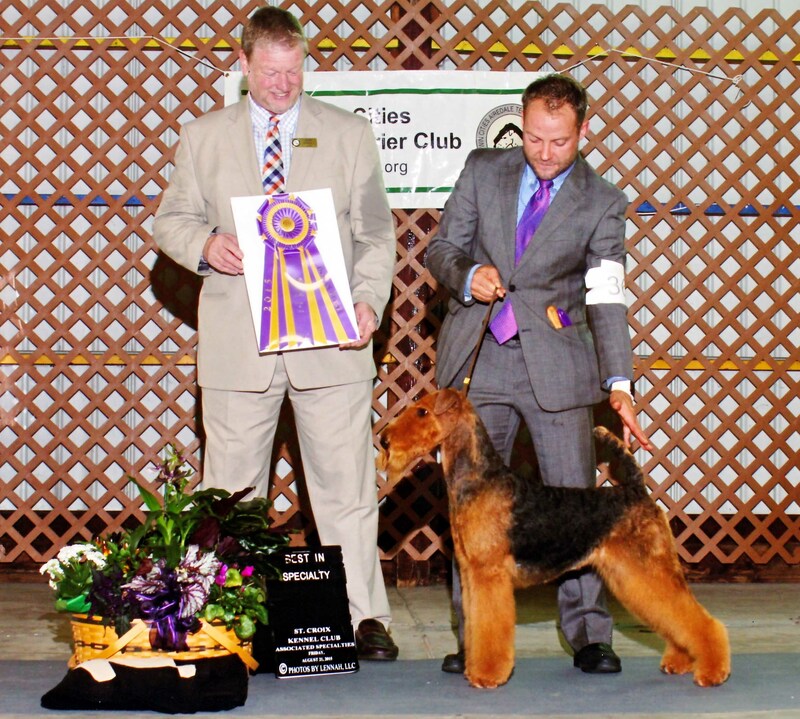 We couldn't have been prouder of her success amidst the other nationally ranked terriers in the country. 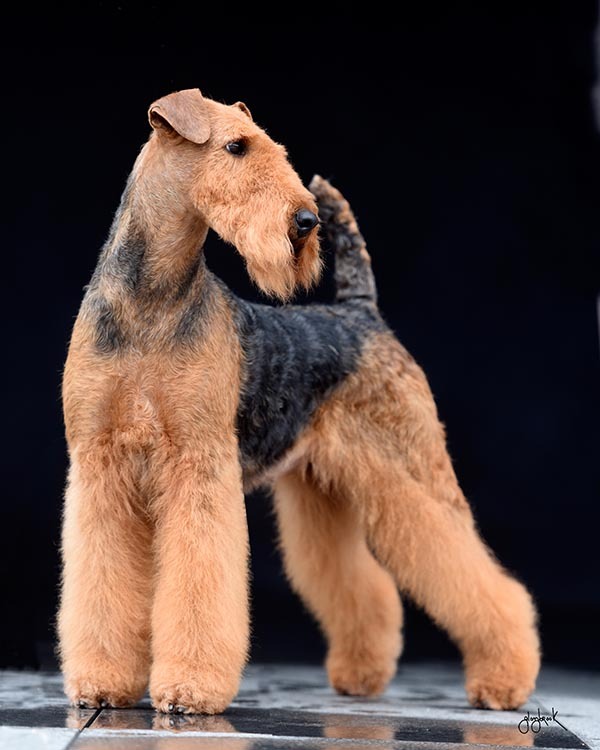 With her femininity and her Airedale spirit - Splenda is an excellent representative of the breed type and certainly deserves the title "Queen of Terriers". 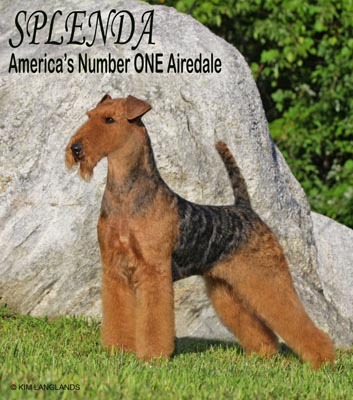 Splenda was expertly presented and conditioned by Adam Bernardin and assisted By Jenn Ellilson.